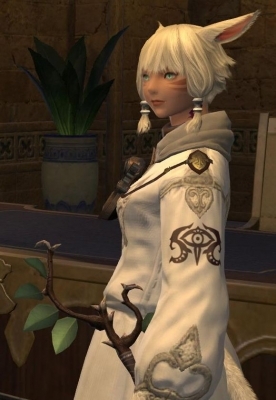 The thing is though, narrative wise your character actually is not from that nation or even Eorzea period - canonically they're a 'foreigner' from somewhere else in Hydaelyn who has made the journey to Eorzea to take up work as an adventurer inspired by the tales of the original Warriors of Light at the Battle of Carteneau (unless your character was originally created in version 1.0 in which case your character is a veteran of that conflict and has just returned to their duties, if not one of the original Warriors of Light). Having said that though, there is nothing stopping you saying your character from being from anywhere, even native born, so a DRK narrative wise even at the start of the game despite DRK being locked behind access to Ishgard, you idea could still work, you just have to be creative.! 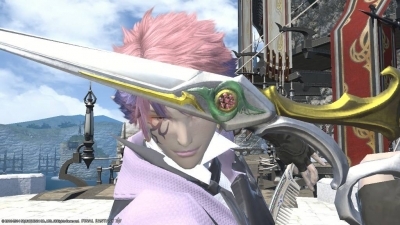 One idea is, maybe your Xaela is hunting a fallen Ishgardian knight that is on the run and is believed hiding out in one of the other city states so he has gone 'undercover' as a regular new adventurer in order to not draw attention to themselves, or something. 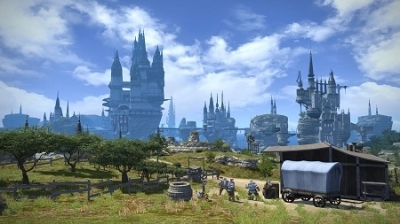 This particular idea would work for even Gridania as your character has no connection to that city, it's just where they've 'taken up the trail' so to speak (n fact, given Gridania's connection to the elezen this could work even better, despite the lack of au ra in the city). Such a backstory could be taken in many directions and is not 'tied down' to any one city or nation. As for importance in the plot, all three cities serve equal importance at various times and have their own points in the storyline where they are given more focus. It does seem Ul'dah takes more of a slightly central role in the storyline however (for instance, whenever the Alliance leaders meet, their meetings are usually held in Ul'dah's Fragant Chamber exclusively). But again, don't let that restrict where you have your character begin their journey, you just need to be imaginative and creative! And all three nations freely share information between each other - the only rivalry between them is more concerned with developing areas such as Carteneau and the legendary Seal Rock (all PvP areas) to exploit the Allagan relics hidden within - and more than that, each city works together with the others as a unified front. Paraphrasing what Kan-E-Senna said during the ending scene for the initial 2.0 story, "We stand together. If one nation falls, so shall we all." 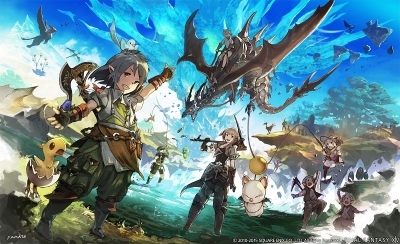 Ishgard's connection to the Alliance also deepens as Heavensward proceeds but as you seem to have not gotten far in the expansion story, I won't spoil anything more. Either way, your character story idea is very interesting, and I hope this has been helpful and not just me flapping my gums! Most of the resentment towards refugees in Ul'dah simply is because of their financial position and not where they have come from. 'Money talks' in Ul'dah, so you're basically judged by the size of your pocketbook - despite the Sultana's attempts to better her subjects' lives, she is constantly hamstrung by the plutocratic Syndicate. Refugees are not forbidden from being in the ity, as long as they have money (which, sadly, most do not). Although this then means a lot end up turning to crime to survive, only resulting in Ul'dah showing more contempt towards them, some refugees actually do manage to rise up above their station by earning enough money to effectively 'buy' their way into Ul'dah society - the best example of this is Raubahn himself. Originally a lowly Ala Mhigan refugee, like a lot of Ala Mhigans he joined the gladiatorial games in the Colosseum (which in 'an act of charity' had allowed refugees to join free of charge), which he made such a name for himself and earned so much prestige and fame, he eventually gained ownership of the Colosseum itself (and a resulting seat on the Syndicate) after winning a high-stakes match where if he had failed he would have lost everything. Of course his example is not common (a lot of Ala Mhigans actually show contempt for Raubahn thinking he 'sold out' to Ul'dah), but the point is, despite how it may appear, national origin does not necessary prevent a refugee from improving their life in Ul'dah, it's their financial standing that is the roadblock sadly. Ala Mhigians are treated fairly neutrally, Ul'dahans only showing spite if they're seen to be 'leeching' off everyone and the Ala Mhigans in turn generally only show true venom in the face of such contempt. Their dogged national pride is really all they have left of themselves as a nation, and thus it's something they're fiercely protective of. Not exactly - Gridania's apparent xenophobia is simply caused by the difficult terms they're forced to abide by just to exist. The forest is the domain of the metaphysical elementals, beings of pure aether, whose nature is so beyond Spoken understanding as to appear downright alien at times. More than that, the elementals not only function as it's spirit and voice, it also acts as it's hand, directly influencing the very trees themselves - from a certain point of view, the Black Shroud is more than just a collection of tall trees and cute animals, it is effectively a gigantic living, breathing entity with a will and purpose of it's own. As a general rule though, it means "what is best for the forest", which, as can be expected, means revering nature and being respectful to the forest and all life which resides within it. Of course outsiders don't usually share this sort of understanding (particularly Ul'dahns), who often have the attitude of "We see, we take"). Thus because so much damage was wrought to the forest over the years by outsiders, particularly the Calamity, this has caused the elementals to become increasingly erratic and dangerous, thus causing Gridania's government the Seedseer Council to have to walk on eggshells in order just to keep their tenuous stability and often enforce somewhat heavy handed rules and restrictions on even their own citizens, to say nothing of refugees and outsiders. To an outsider however, this just comes across of stonewalling and xenophobia, not understanding Gridania has no actual choice - the elementals are nature personified, and sadly, nature is downright cruel at times. There is no way around it - generally if an outsider is understanding of the situation and accepts the elementals are the true rulers of the forest and are mindful of everything they do while there does not upset the balance of nature, they will be allowed to settle there, however sometimes even then if an elemental had decided otherwise, no amount of acceptance or understanding can change their minds. You're refused entry into the Twelveswood, and if you try to violate that, it will evoke the elementals' ire, or 'greenwrath', of which... death can actually be the least horrendous outcome. 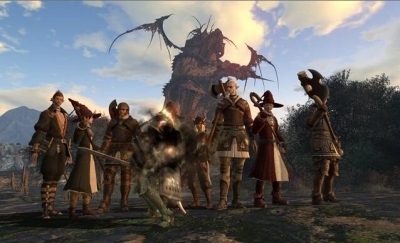 Of course a lot of people not forestborn regard even the elementals' existence as a fairy tale designed as simply an excuse for xenophobia, but as Khrimm found out the hard way before the Calamity (during the 1.0 Gridania story), the elementals do exist, the forest is their's, have a very short temper, and do not tolerate transgressions. Sadly though, these are ideas not easily accepted by those from other lands who wish to live in the Black Shroud. Anyone else feel like Dark Knight is a bit lacking in Final Fantasy XIV? Darkside annoys me, I wish they'd have given Dark Knight Mana Draw... MP is definitely the biggest issue with Dark Knight in PvP. Without Darkside or MP for Dark Arts, Dark Knight just becomes completely rubbish.